Positioned in southern Europe, and in the center of the Mediterranean Sea, Italy, this distinctive high-heel boot shaped land is washed by the Adriatic Sea to the east and the Ionian Sea to the south. With the northern part of Italy fanning out and touching France, Switzerland, Austria, and Slovenia, whose cultures have influenced those regions. And, the southern part of Italy is near Greece, Albania, and northern Africa, that have likewise left their indelible contributions. The islands of Sicily and Sardinia offer up some of Europe’s best beaches. Other smaller islands are found off the coast of Tuscany, Campania, Puglia, and Sicily. With the Italian peninsula consisting of 4,720 miles of coastline, finding a nice seaside spot is easy here. 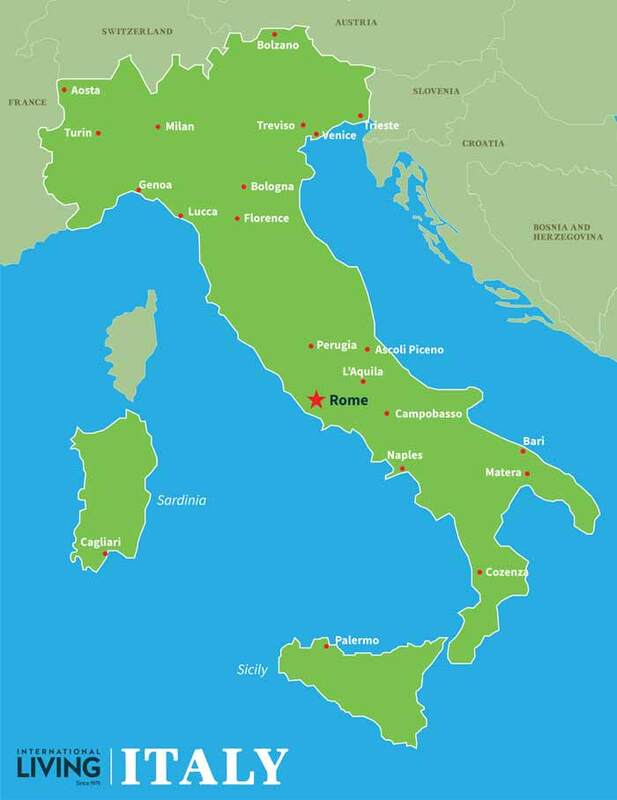 At around 116,305 square miles, Italy is roughly the equivalent size of California. It’s home to soaring Alps and rocky Dolomites in the north, along with inland lakes; Como, Maggiore, Iseo, and Garda, and three active volcanoes; Etna, Stromboli, and Vesuvius. The Po River valley is the most extensive plains area in the country. In fact, only 20% of Italy is flat, with the country predominately comprised of rolling hills and mountains, with the Apennines sweeping down the middle of the country for 750 miles from north to south. The mere mention of Italy, exudes sighs from most people who want to enjoy the fabled bella vita and famous sights of this stunning European nation. Italy possesses some of the world’s most famous monuments, celebrated art, and renowned cuisine. Italy has also given the world some of its most acclaimed cultural and scientific heritage, such as Galileo, Dante, Da Vinci, Cicero, Marconi, and Stradivarius, to name just a few. Italy as a nation didn’t exist until 1861 when the various region-states and kingdoms were unified into one country. Because of its many millennia of various rulers, invaders, and influences, the country has great variety and differing cultures from region to region. This means history, architecture, dialect, foods, and culture can vary by region. How Do We Get to Italy? Italy’s main international airports are Rome Fiumicino (also called Leonardo da Vinci), Milan Malpensa, and Venice Marco Polo. Most visitors from North American arrive at one of these gateways, but there are dozens of airports served by flights from within Europe, including Genoa, Bergamo, Naples, and Pisa, among others. Rail services come in the form of high-speed sleek trains, from France, Switzerland, and Germany. Ferries arrive from France, Spain, Greece, Albania, Croatia, and Tunisia. And, Italy’s main port cities are Genoa, Livorno, Civitavecchia (near Rome), Naples, Salerno, Palermo, Brindisi, Bari, Ancona, Venice, and Trieste. Italy has 20 regions, and each has its own allure and beauty. Abruzzo. Italy’s wildest region, 30% of Abruzzo is protected by national parks that hold high peaks and plenty of wildlife such as bears, wolves, mountain goats, and eagles. With 80 miles of Adriatic coast, it has lots of beaches too, and inland rolling hills are covered in wine grapes that produce notable vintages. Towns to explore include swanky Sulmona, pretty Penne, and seaside Vasto. Basilicata. Mostly mountainous, Basilicata vies for the title of least-known region, though not for long. The ancient city of Matera will be the Capital of European Culture in 2019, and is now firmly on the tourist map. Basilicata’s mountains are the country’s adventure destination, with plenty of outdoor attractions and fun. Overall, the region retains its rural roots and traditions. Calabria. The toe of the boot is the last stop before Sicily and enjoys the waves of both the Mediterranean and Ionian Seas. It is rich in Greek ruins and culture, and Albanian influences giving it an exotic flavor. Its mountainous and wooded interior includes Italy’s largest national park, which it shares with next-door neighbor, Basilicata. Campania. Mythical Campania, home to Mount Vesuvius, Pompeii, Naples, and the stunning Amalfi Coast, has plenty of first-rate attractions to satisfy everyone. There’s a huge variety of beaches all the way down the coast, a wealth of art and archeology on display, as well as renowned cuisine. Emilia Romagna. One of Italy’s wealthiest regions, it is packed with historic art treasures, gorgeous architecture, and considers itself to be the nation’s gastronomic epicenter. With Parma prosciutto, parmigiano (parmesan) cheese, balsamic vinegar, and Bolognese sauce, they’re right to brag. Art cities like Ravenna, Ferrara, and Parma keep it classy, while the coastal resorts add summertime parties and beach life. Friuli-Venezia Giulia. Bordering Austria and Slovenia, it goes from alpine heights to sea level, with climate variances to go with them. Trieste gets most of the attention, but Udine is an upscale, well-kept old city that beautifully blends Austrian and Italian influences with plenty of parks and sights. Lazio. 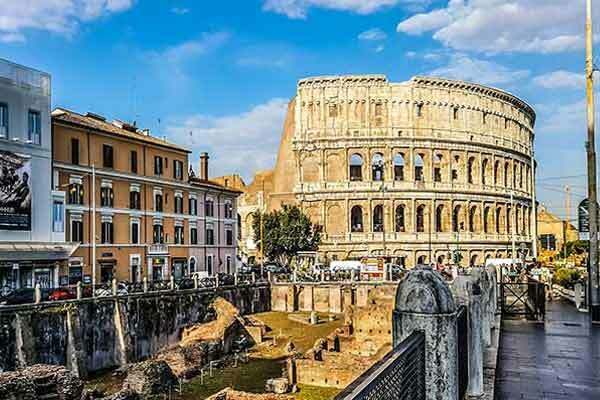 The region that is home to Rome, offers a lot more than the capital city (though Rome itself is enough reason to visit). Like neighboring Tuscany, Lazio was home to the ancient Etruscans, and has its share of rolling landscape and picturesque hill towns. A large region, its borders touch Tuscany, Umbria, Le Marche, Abruzzo, and Campania. There are natural hot springs and lovely lakes north of Rome, while to the south the Castelli Romani has been a retreat for popes and nobles for centuries. There are plenty of beach destinations to choose from here, too. Liguria. The Italian Riviera, Liguria is an arc that sweeps up to southern France’s Cote d’Azur and shares the same mild winter climate. The almost-unbroken wall of mountains that climb from the coast are dramatically terraced to produce olive oil and wine. The most famous coastal towns are the five that make up the Cinque Terre, but San Remo and Portofino are high-profile, as well, while Genoa is a bustling port city. Lombardy. Italy’s most densely-populated region is home to its powerhouse city of Milan, the center of finance, industry, and fashion. It’s also home to scenic Lake Como with postcard-perfect villages and views of the Alps. Monza, Mantova, and Cremona are other worthy cities in Lombardy. Bordering Switzerland, its name indicates the area was influenced by the Lombards. With mountains in the north and Po Valley in the south, the region’s climate varies from snowy to wet and foggy in winter, with rather humid summers. Le Marche. It is said that Le Marche contains all of Italy in one region—mountains, hills, and seacoast with hill towns, art treasures, and unspoiled landscapes. Urbino is crowned by a Renaissance ducal palace and was the birthplace of Raphael, while travertine-built Ascoli Piceno, a gem along the Abruzzo border. The palm-lined coast is broken by the dramatic Conero promontory, and the region is home to fantastic vintages and Italy’s finest shoe manufacturers. Molise. The tiniest of the regions, Molise separated from Abruzzo in 1963 to garner its own identity. It has a small slice of Adriatic seafront, but most of its geography and culture is inland and uphill, with slumbering villages and hospitable, proud residents. You’ll find true Old World ways and traditions here. Piedmont. 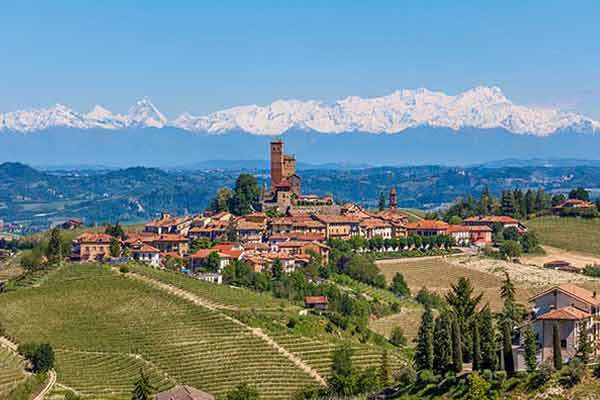 The region blends industrial might with agricultural importance—with Torino’s massive Fiat plant but also famous wine regions that produce Asti spumante, Barolo, Nebbiolo, and Barbaresco, some of the wine world’s superstars. Lake Maggiore has magical isles and perfect scenery, rolling hills and towns that cap them have the dramatic backdrops of snow-capped peaks. And Torino, aka Turin, has medieval riches and the famed Shroud, along with a trendy cafe culture. Puglia: The heel of Italy, Puglia’s rich agricultural land is fringed by excellent beaches and crystal seas. This is Italy’s largest olive oil-producing region, and it’s a major wine producer, as well. There are some wonderful towns a few miles inland, including elegant Martina Franca and bleached-white Alberobello, with its 1,500 dome-shaped trulli houses. The big city here is Bari—a seaport, while Lecce is a lovely baroque art city. Six provinces make up this region: Bari, Barletta-Andria-Trani, Brindisi, Foggia, Lecce, and Taranto. Sardinia (Sardegna). The wild and otherworldly landscape of the island of Sardinia gives it a distinct look. A mosaic of forests, jagged mountain pinnacles and hidden-away towns offer much to explore, while the miles of beach offer up brilliant, shimmer colors of jade, emerald, turquoise, and aquamarine. The island has some of Italy’s most noted beaches and cleanest waters, with its stunning and upscale Costa Smeraldo popular with the jet-set. Sicilia (Sicily). Secretive, seductive, and exotic Sicily is the largest island in the Mediterranean. Its sea-lapped shores have attracted a host of invaders and colonizers, each leaving a mark, so you’ll find shades of Greek, Arab, Norman, and Roman elements mingling together. Mount Etna smolders and sputters, while spectacular Taormina lazes below it. The south of the island is rimmed in ornately-adorned Baroque towns. Trentino-Alto Adige. The mountainous northern region sweeps against the Alps and Dolomites, and its location next to Austria has given it a distinctly Germanic feel. The food, architecture and language are all German, and activities are decidedly alpine, which is great for skiers and hikers. Bolzano is sophisticated but also has the distinction of having Italy’s highest cost of living. Tuscany. The country’s most famous region, there are countless books and movies about Tuscany, which has some of Italy’s most renowned monuments and cities. Who hasn’t heard of Florence, Pisa, or Siena? The region’s dreamy landscape of hill towns, cypress-lined lanes, and hills raked with grape vines are all appealing and big tourist draws. Some of the world’s most famous art and architecture is here, thanks to its place as the center of the Renaissance. There is much to explore here, and every town has something interesting, art cities like Arezzo, Pistoia, and Lucca are gems. Umbria. 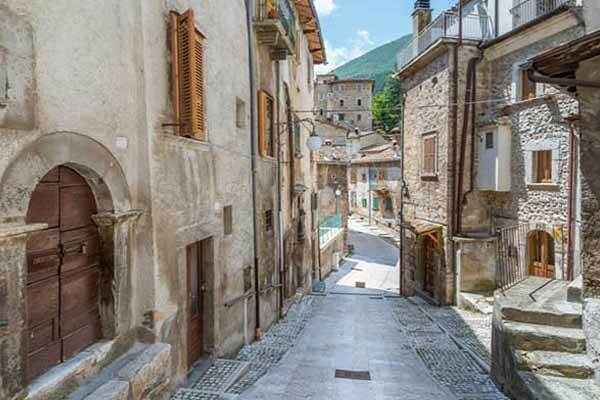 Blessed with a central location right smack in the middle of the country, Umbria retains its rural heart and Old World charms, and is called the “green heart of Italy.” It is comprised mainly of small hill towns, with only one real city—Perugia. 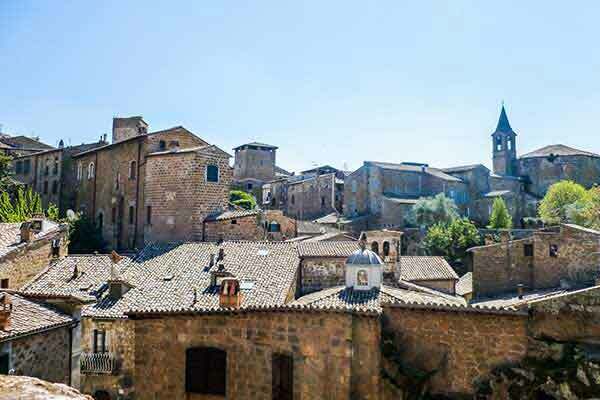 Dramatic Orvieto, splendid Spoleto, and mystical Assisi draw travelers to their alluring beauty. Umbria is laidback with unpretentious and hospitable residents. Valle d’Aosta. Swiss chalets, ski resorts, and Italy’s highest peaks may not match that “Mediterranean image” or climate that most have in mind when they think of Italy. But the northern alpine region that borders France and Switzerland is home to the Matterhorn and Mont Blanc as well as some glittery resorts like Courmayer. This is Italy’s most sparsely populated and highest region. Veneto. Mostly known for its unique and famous city, Venice, the region is also home to historic cities like art-adorned Padova, portico-laced Treviso, and romantic Verona (home to Romeo and Juliet). There are some beaches around Venice, ski resorts like Cortina d’Ampezza, and more than a dozen gorgeous villas by Palladio scattered around the region. Venice is its own world and a must-see when in Italy.